Tattoos are often used as reminders of significant moments in someone’s life. However, for senior politics and international relations major Sam Rockhill, her tattoos remind her of commitments to her calling and to her friends. I have two tattoos so far. One is a globe with the words “Send me” and “Isaiah 6:8” on the outside of it. The other is half a sun, half a moon, with a star in the middle. My globe is a symbol of my calling towards service and justice on a global scale, and a reminder for myself to never be scared to follow that calling, no matter where in the world it takes me. My second piece is a matching friendship tattoo with my best friends of over ten years, it symbolizes how we are each unique but aren’t complete without each other. When did you get your tattoos? I got the globe when I was 18, right before I graduated high school and we got the matching tattoo this past July. What is it about your tattoo that makes it unique to you? 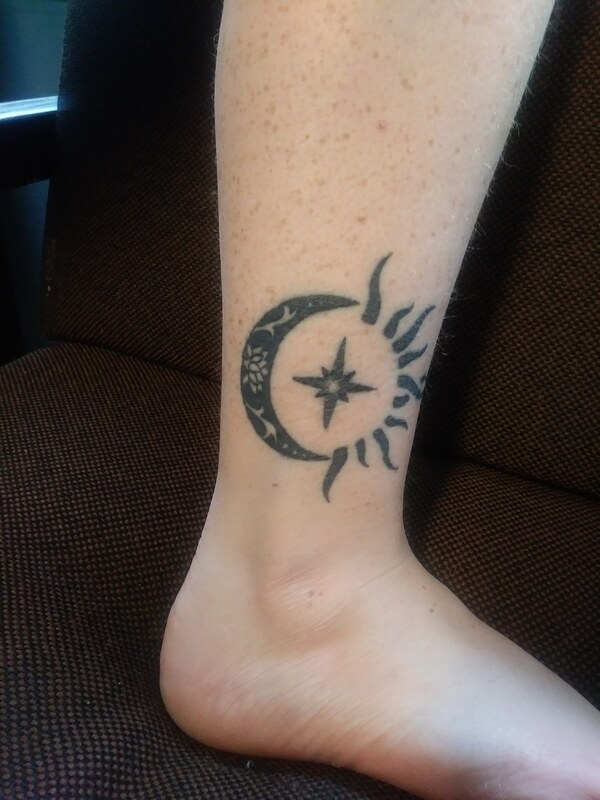 My sun/moon tattoo, in particular, is very unique. When Katera, Mel and I were picking what to get, we found pieces from three different artists, and photoshopped them together into what my Dad now calls “the frankentattoo”. Do you plan on getting any more tattoos in the future, and if so, what would they be? I am definitely going to get more! My next one is going to be a reference to the Lorax quote, “Unless someone like you cares a whole awful lot, nothing’s going to get better, it’s not” in my mom’s handwriting. I also want “it’s a wonderful life” in my Dad’s handwriting and a semicolon, the eating disorder awareness symbol.